Since 2011, this open-air clubbing destination has been bringing a catalogue of stellar names to what is now considered to be one of Ibiza’s most famous hotels. Offering an impressive program of parties including ANTS, David Guetta’s BIG and Hardwell, Ushuaia is home to luxurious accommodation and a fantastically placed stage. 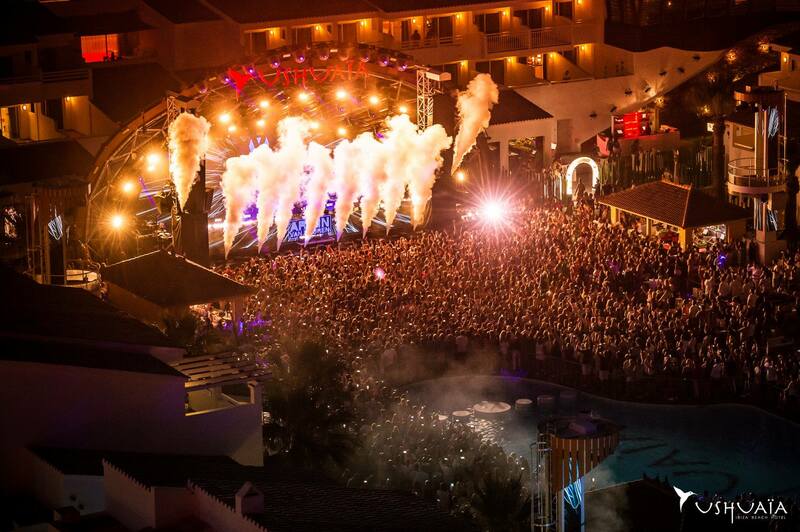 Attracting the biggest names in the mainstream electronic dance music circuit, Ushuaia is renowned for its fantastic stage productions, daytime clubbing and stunning location, which includes a huge pool and rooftop lounge terrace. This is definitely one of Ibiza’s hottest destinations for daytime clubbing!